We had maps and information on some of the surrounding areas in case we wanted to venture out from Greenleaf. One of the areas that looked promising, Lake Eufaula State Park, was about an hour west of our destination, just south of the Interstate, and since we were way too early to check into our cabin, we decided to take a side trip there on our way. We stopped by the visitor center and got a map of the park. A nature center was just across the road, so we went there, as well. 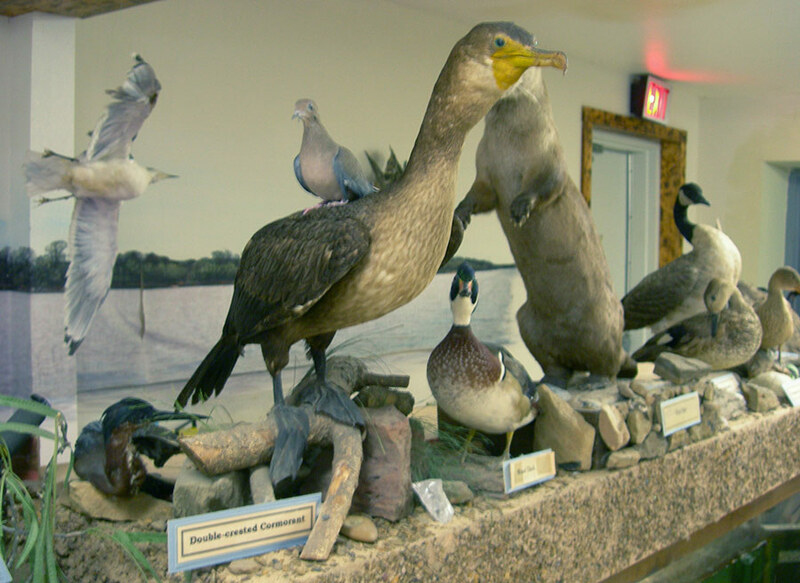 The display consisted mostly of stuffed native animals and birds in natural settings. 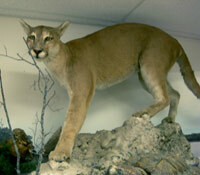 Such exhibits leave me a little cold, but it was interesting to see the range of wildlife. 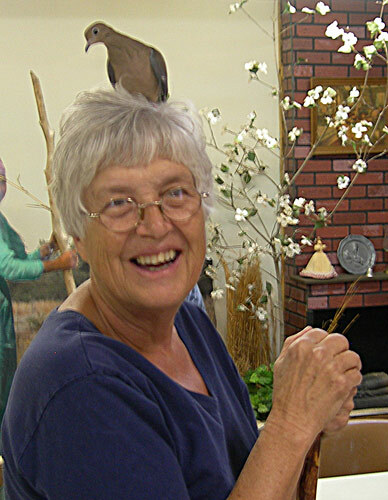 They did have one live exhibit - a tame mourning dove that landed right on my head. The bird was so light that I hardly noticed the weight of it -- light as a feather, one might say.